FIFO inquiry to visit QLD communities (0) February 16, 2012 The Regional Australia Committee will be holding hearings on the impact of fly-in fly-out workers on regional communities in Queensland next week. Decmil wins Fortescue accommodation contract (0) February 16, 2012 Decmil Group has won the contract build accommodation for Fortescue in the Pilbara. Ausenco wins gold mine EPCM contract (0) February 16, 2012 Ausenco has been awarded Barrick Gold’s Goldstrike mine EPCM contract. RMC sees improvements in acid leach process (0) February 16, 2012 Resource Mining Corporation has seen increased efficiency in its organic acid leach technology. Orica sees EPA revise initial Kooragang spill levels (0) February 16, 2012 The EPA has revised the results of its initial samples taken after Orica hexavalent chromium spill in August last year. 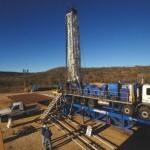 Australia Institute challenges coal seam gas benefits (0) February 15, 2012 Left-leaning think tank The Australia Institute has raised questions over the expected economic benefit provided by the coal seam gas industry. LNP draws ‘line in the sand’ over foreign workers (0) February 15, 2012 Queensland Liberal National Party leader Campbell Newman says he will not support any move to increase the use of foreign labour on QLD mines. NSW to allow uranium mining (0) February 15, 2012 Miners may soon be able to explore for uranium in NSW as the state government overturns the ban. WA companies win $14 billion in mining contracts (0) February 15, 2012 The WA Government says around $14 billion of resources contracts have been awarded to local companies since last July. 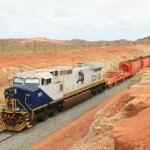 BHP to develop Pilbara property (0) February 15, 2012 BHP Billiton has been named as the preferred company to develop over 2.5 hectares of land in South Hedland, including a five-storey residential building. Australian Mining apologises (0) February 15, 2012 Australian Mining apologises for the constant site outages. Chemical spill in Newcastle (0) February 15, 2012 Koppers Australia’s Mayfield plant in Newcastle has recorded a naphthalene spill. BMA strikes continue to cripple miner (0) February 15, 2012 Another week of rolling strikes is set to hit BMA today. 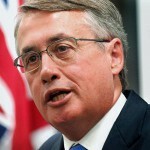 Push for foreign workers to fill mining jobs (0) February 14, 2012 Mining companies are looking to replace 457 visas with bulk temporary migration agreements to quickly fill empty mining jobs in Australia. New apprentices for Mount Isa Xstrata (0) February 14, 2012 Xstrata Mount Isa Mines has announced the arrival of 58 new entrants to its apprenticeship program. Brisbane to market itself as FIFO centre (0) February 14, 2012 Brisbane will be advertising itself as the centre of Queensland’s booming fly-in-fly-out industry in an effort to use the mining sector to create new jobs. Rio proposes buffer zone for threatened crab (0) February 14, 2012 Rio Tinto says it has plans to create a buffer zone around its expansion at the Cape York bauxite mine to protect a unique crab species. 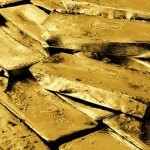 Rio approves Escondida funding (0) February 14, 2012 Rio Tinto has approved a US$1.4 billion investment into two projects to support increased production at the Escondida copper mine in Chile. Fortescue and IOH sign MOU (0) February 14, 2012 Fortescue Metals Group and Iron Ore Holdings have signed an agreement that will see Fortescue expand its Nyidinghu project into Iron Ore’s tenements. QLD mining industry sees a safer year (0) February 14, 2012 Queensland’s mining industry is one of the safest in the world according to the state’s latest health and safety report. Slope design processes for mine plan and design [Podcast] (0) February 14, 2012 John Read, research manager for mass mining projects at the CSIRO speaks to MiningIQ about his model for slope design processes. Orica sees Kooragang plant leak; holds restart (0) February 14, 2012 Orica has seen a minor nitric acid leak at its Kooragang Island plant. 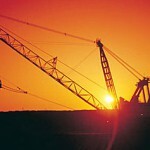 Boom wins Olympic Dam crane contract (0) February 14, 2012 Boom Logistics has secured a five year contract to supply crane services to BHP Billiton’s Olympic Dam maintenance operations. SA Government pays Marathon Resources $5 million (0) February 13, 2012 Marathon Resources will be paid $5 million following the South Australian Government’s decision to ban mining in the Arkaroola wilderness sanctuary. 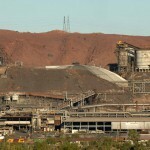 Rio Tinto loses High Court battle with unions (0) February 13, 2012 Rio Tinto has lost a High Court battle over bypassing unions in negotiations with workers on its Pilbara iron ore operations. 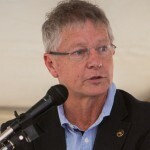 Weir Group enters bidding war for Ludowici (0) February 13, 2012 Global engineering firm The Weir Group has bettered a takeover offer by rival FLSmidth for Brisbane mining equipment manufacturer Ludowici. 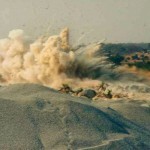 Aussie expansions take front seat (0) February 13, 2012 BHP Billiton says its massive $US12 billion move into Canadian potash may be less significant than its Australian expansions. Indigenous councils to fight NT seabed mining (0) February 13, 2012 Indigenous groups have gathered together to stop proposed seabed mining exploration off the Northern Territory’s top end. Coretrack retains custody of rig in legal battle (0) February 13, 2012 Coretrack has maintained custody of the GT3000 drill rig as its legal battle continues. Injured miner out of hospital (0) February 13, 2012 A miner injured at the Ernest Henry mine last week has been released from hospital. Explosives truck rolls (0) February 13, 2012 Western Australia’s Great Northern Highway was shut after a truck carrying ammonium nitrate rolled. Orica reports to EPA over Port Kembla leak (0) February 13, 2012 Orica has recorded an elevated reading of sulphur dioxide from its Spent Acid Regeneration Plant at Port Kembla. 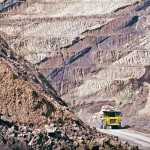 BHP considering selling $10 billion of assets (0) February 10, 2012 BHP Billiton may be considering selling close to $10 billion of assets in Australia and around the world, according to a Deutsche Bank report. 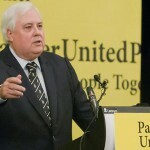 Top ten stories of the week (0) February 10, 2012 Australian Mining looks at the stories which had you talking this week. Queensland FIFO camp rejected (0) February 10, 2012 Queensland Central Highlands deputy mayor Paul Bell has led a movement to reject a 896-unit fly-in-fly-out camp outside Blackwater in the Bowen Basin. Profit slump for Rio Tinto (0) February 10, 2012 Rio Tinto has recorded a 59 per cent slump in full-year net profit, which it has blamed primarily on the falling value of its aluminum business. Four Mile native title feud settled (0) February 10, 2012 Alliance Resources has settled the litigation concerning its native title agreement for the Four Mile uranium project. Port Kembla coal strikes continue (0) February 10, 2012 More industrial action is planned at the Port Kembla Coal Terminal after unions and management failed to come to an agreement. Man dies at Rio’s Bell Bay smelter (0) February 10, 2012 A man has died at Rio Tinto’s Bell Bay aluminium smelter. 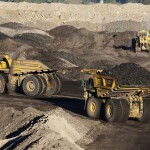 Workers won’t move to NT for mining jobs: MCA (0) February 9, 2012 The Minerals Council of Australia says the mining industry is struggling to get workers to relocate to the Northern Territory to work on resources projects. BMA strike talks take nasty turn (0) February 9, 2012 More strikes are expected next week as total overtime bans restart tomorrow across several BMA coal mines. Australia is the “gold standard”: BHP (0) February 9, 2012 Despite global economic uncertainty BHP Billiton CEO Marius Kloppers says Australia is a “gold standard” country to invest in and has some of the best mining operations in the world. 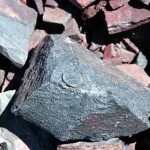 Emu Nickel to revive antimony mine (0) February 9, 2012 Emu Nickel is looking to revive a NSW antimony mine, which also contains gold, and start production by 2013. 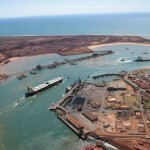 FMG given approval for Cloudbreak expansion (0) February 9, 2012 Fortescue Metals Group has been given conditional approval to go ahead with its $247 million expansion of the Cloudbreak mine in the Pilbara. AWU calls for action on Alcoa review (0) February 9, 2012 The Australian Workers’ Union has called for State and Federal Government action following Alcoa’s announcement that it is “reviewing the future viability” of its Point Henry smelter. Thiess wins BMA contract (0) February 9, 2012 Thiess has won a $180 million contract with BMA for earthworks at the Caval Ridge mine. Decmil signs Rio infrastructure contracts (0) February 9, 2012 Decmil has signed a five year contract for civil works with Rio Tinto. Thiess wins gas contract (0) February 9, 2012 Thiess has won a $325 million contract to build gas processing facilities for the Queensland Curtis Island LNG project. Glencore and Xstrata seal merger but not all shareholders happy (0) February 8, 2012 Glencore International has agreed to buy Xstrata for $38 billion to create one of the world’s largest resources companies. Pike River explosion blamed on roof collapse (0) February 8, 2012 Pike River coal mine’s deadly explosion has been blamed on a string events caused by a roof collapse. 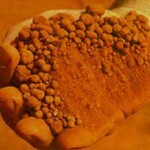 FMG looks beyond iron ore in South Australia (0) February 8, 2012 Fortescue Metals Group is exploring South Australia for copper, gold, and uranium in an effort to diversify beyond its Pilbara iron ore business. Rio Tinto annouces massive Pilbara expansions (10) February 8, 2012 Rio Tinto has announced a massive $3.1 billion expansion to its Pilbara iron ore operations. 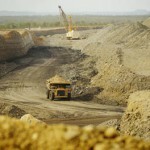 BHP Billiton posts strong first half profit (0) February 8, 2012 BHP Billiton has posted a first half profit of $9.2 billion, one of the biggest in Australia’s history but short of analyst’s predictions and the record it set last year. Margaret River coal mine vetoed (0) February 8, 2012 LD Operations proposed coal project in the Margaret River has been rejected by WA environment minister Bill Marmion. Drill rig battle drags on (0) February 8, 2012 The fight over the GT3000 drill rig has heated up as Strange Investments seeks a court order to take possession of the rig. 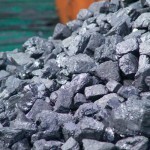 Alcoa reviewing Point Henry smelter’s future (0) February 8, 2012 Alcoa has announced a review into the future viability of its Point Henry aluminium smelter in Geelong. Whitehaven Coal restarts mining (0) February 8, 2012 Whitehaven Coal has recommenced operations after heavy rains halted mining in the Gunnedah Basin.